Subodh was looking for a new car insurance plan. The agent he spoke to not only asked for a hefty charge, he also persuaded Subodh to buy the policies of a particular insurer. Subodh didn’t like the features and the costs of those plans. But what was he to do? That is when he heard about the option of buying car insurance online. He wisely decided to purchase the plan online and that too after comparing the available options. Car insurance is mandatory in India. There are many insurance providers who provide car insurance plans that are packed with features. The costs of the plans however vary from insurer to insurer. In order to get the best possible deal, it is important to compare the different car plans. This can be done online. It is a quick and hassle free process that not only brings you closer to the best insurance plan, it also helps save a lot of money. Read on to know more. How to Compare Car Insurance in India? Visit an insurance comparing website – There are quite a few reputed insurance comparison websites in India. Log on and start comparing. Fill in a form – Once you are there, you will have to fill a form. You have to provide information about the make of your car, the age of your car, your driving history, etc. You also have to fill in your personal details. View the results – After you submit the form, all the available plans along with their features and their prices will be displayed on your screen. Select the plan – Analyze the results and see which plan and features suit you the best. This is a crucial step as you have to select the most beneficial plan from among the available options. Buy online – Make the payment and get instant ownership of the plan. 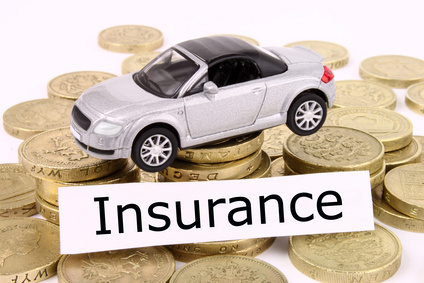 The various car insurance companies have various plans on offer. While some offer the basic features, others offer a whole lot of added features at added costs. Unless you view all the options, you will not be able to find out about everything that is on offer. Saves you money – Since you get to see all the plans with their prices in front of you, you can choose the most economical option and save yourself a whole lot of money. Quick glance of features – All the features of all the plans are briefly displayed and so you get to know exactly which insurer is offering what. You do not need to individually go to each insurer’s website to check the available features. No brokerage – Since no agent is involved in the process, you do not pay any brokerage, thereby saving money. This is an added monetary benefit of comparing car insurance in India. Impartial – The insurance comparing websites work independently and so do not promote any particular insurance provider. As a result, the quotes you find are impartial. An agent may pursue you to choose a particular plan from a particular company by promoting it tirelessly for his own benefit. However, such practices are completely absent when you compare the plans online. Quick and easy process – The process of comparing car insurance and even purchasing a plan is very simple and quick. You do not have to run from one office to the other. The entire job can be completed within a few minutes from the comfort of your own house. So as you can clearly see from the points mentioned above, comparing the various car insurance plans online is a very simple and useful process. You get the best quotes and end up finding a good insurance policy at a nominal rate. You also save by avoiding the hefty brokerage charges. Whether you need a new plan or you need to renew your car insurance plan, do not proceed without comparing the available options.